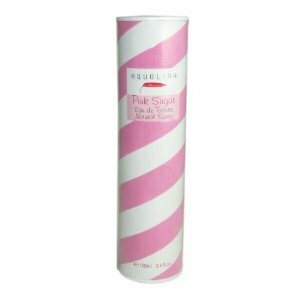 Pink Sugar by Aquolina is the ultimate fragrance in femininity as it blends sweet notes from your childhood like cotton candy, vanilla and caramel. Sounds good enough to eat! Aquolina devised it to be a playful flirty fragrance for the young at heart. It is has a sweet yet slightly floral fragrance. If you want to make your perfume last longer apply it to the body's pulse points such as the wrist, behind the ear, the crease in your arms or knees and the base of your neck. The fragrance will be warmed and released all day long from the blood vessels which are closest to the skin. I have compiled the lists below from the users opinions on Sephora. Alcohol Denat (SD Alcohol 39C), Aqua (Water), Parfum (Fragrance), Alpha Ionone, Amyl Cinnamal, Benzyl Benzoate, Benzyl Salicylate, Butylphenyl Methylpropional, Citral, Citronellol, Coumarin, Geraniol, Hexyl Cinnamal, Limonene, Linalool. Pink Sugar have definitely done something right with this perfume. It is very popular with users who say they adore the cotton candy scent and love all the compliments from strangers they get. There are a couple of users who find it a little too sweet but just calm it down with a light fruity perfume. It does usually cost $50 but is on sales for $29.99 for a 3.4oz bottle, which is a real bargain! So could be a good time to buy if you fancy giving it a try.